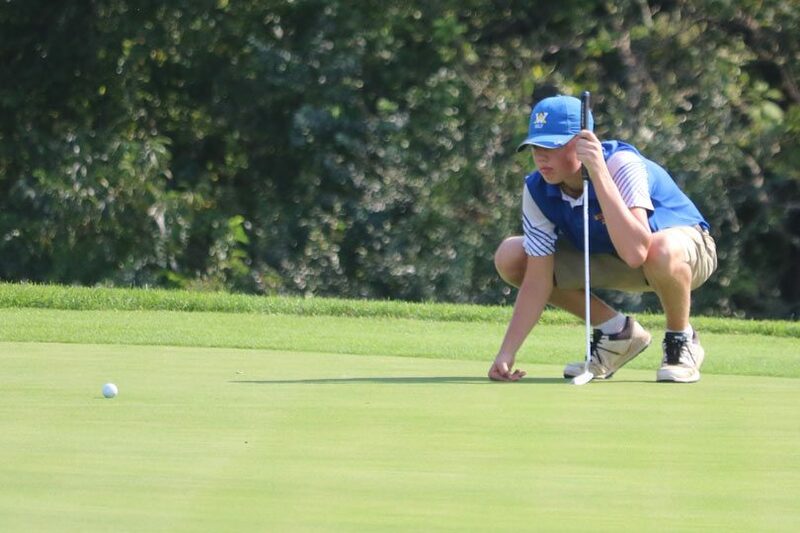 In a Jefferson District golf landscape that changed pretty drastically this year, it seemed appropriate that one of the area’s young players, Western Albemarle’s Brian O’Dea, would spark his team to a championship. O’Dea put together a 71 to tie Albemarle’s Jake Bruns for medalist honors and lead Western Albemarle’s 313, that was good enough to hold off runner-up Albemarle’s 322 and wrap up the Jefferson District team title at Old Trail Wednesday. Powhatan took third overall behind the Patriots and Warriors, with Monticello taking fourth, Louisa taking fifth, Orange snagging sixth, Fluvanna taking seventh and Charlottesville finishing eighth. Along with O’Dea’s 71, Western got a 74 from Nathan Vance, an 82 from Zach Smith and an 86 from Clay Bright. Albemarle countered with an 82 each from Jack Kelley and Robert Brozey and an 87 from Cooper Ezell to go with Bruns’ 71. All eight teams had to fight some soggy course conditions in the wake of torrential rains that made things tough, particularly in the fairways. Bruns was locked in a tight battle with O’Dea who was actually playing two groups behind him, which means that a decision he made on 18 likely helped him hold onto a share of the individual crown. After birding 17, Bruns put the ball in the high rough on 18, Bruns considered trying to hit out of it before taking the penalty stroke and moving it out. He went on to bogey the hole after hitting an excellent shot on a tough approach off a downhill slope instead of getting into more trouble by trying to play out of a tricky, brutal lie. Battling O’Dea was a new and, frankly welcome look for Bruns and the other players who had been going toe-to-toe with Charlottesville’s A.J. Stouffer and Zach Russell for years before the tandem graduated last year. The other play who notched a score in the 70s was Louisa’ s Zane Moore who had a 74. Hunter Randle’s 87 led Charlottesville, Jack Kershner’s 90 set the pace for Fluvanna, Jake Huffman had an 86 to lead Monticello, Orange’s Jake Bryant finished with a 92 and Connor Voorehees led Powhatan with an 87. 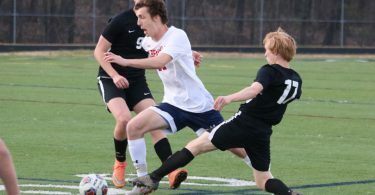 Regional tournaments are up next for the Jefferson District squads with the Warriors competing at London Downs in Lynchburg next week while Albemarle competes at Ole Monterrey in Roanoke.